Be sure to plan your travel to visit one of the many AZA-Accredited and Certified institutions close to Phoenix! Lubee Bat Conservancy is an international non-profit organization dedicated to saving bats and their habitats through research, conservation, and education, with a focus on children and community engagement. Lubee places conservation and education as its two core institutional purposes. Local and global education programs connect children with nature, foster environmental stewardship, and inspire the next generation of conservation scientists to become leaders within their communities. Lubee is an AZA Certified Related Facility. Lubee Bat Conservancy is not open to the public, but will be open to Conference attendees for private tours ($10 each) on Thursday, March 29, 11:00 am - 3:00 pm. Guests will have an opportunity to enter the bat enclosures, make/hang enrichment devices, and watch how the bats paint. If you have questions about the tour or visiting the facility, please contact Brian Pope. The Central Florida Zoo & Botanical Gardens’ Orianne Center for Indigo Conservation is a 25 acre facility in Lake County, FL dedicated to the captive propagation and reintroduction of the Eastern Indigo snake. This is the only facility breeding these animals for the current reintroduction programs occurring at both state and federal levels. In addition to Eastern Indigos, the OCIC is also involved in the breeding and reptatriation of Striped newts in the western portion of their range. This facility is not open to the public but tours can be set-up in advance. Please feel free to call or email Dino Ferri or Michelle Hoffman at contact info below. 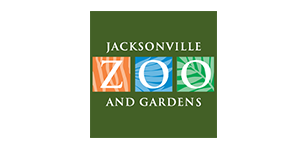 Brevard Zoo is hosting a Pre-Conference Tour on Saturday, March 24. Tickets can be purchased with your registration for $65 per person. Come visit Brevard Zoo to see our unique mix of attractions, including kayaking and zip lining and unique educational and conservation facilities. Our authentic Florida defines our guest experience. You’ll feel like you are in the wilds while encountering animal in up close and intimate settings. Behind-the-scenes tours include: education campus, Treetop Trek Course, Animal Care Center and Sea Turtle Healing Center. All zoo attractions including kayaking are included in your tour. Tour fee includes transportation, snacks, and lunch.